Senior Managing Director and Head, Compass Lexecon Europe; Research Fellow, Centro de Estudios Monetarios y Financieros (CEMFI); Faculty (competition economics), Barcelona Graduate School of Economics (BGSE). Has given expert testimony before the competition authorities and courts of several EU member states, as well as in cases before the European Commission, and in various civil litigation (damages), international arbitration cases, and competition cases in non-EU jurisdictions. Has submitted written testimony to the European General Court, and the UK Competition Appeals Tribunal in cartel, merger control and abuse of dominance cases. Has written numerous papers on competition policy and industrial organization in many journals. 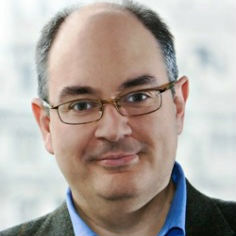 Co-author of The Law and Economics of Article 102 TFEU. M. Phil and D. Phil degrees in Economics, University of Oxford.